alaTest har samlet og analyseret 841 anmeldelser fra magasiner og hjemmesider. Anmeldere kan virkelig godt lide størrelsen. Også billedkvaliteten imponerer, men folk er mindre positive med hensyn til farven. Vi analyserede bruger- og ekspertratings, produktalder og andre faktorer. Sammenlignet med andre Videokameraer får Contour ROAM en samlet alaScore™ på 88/100 = Meget God kvalitet. The ContourRoam manages to make Contour's already easy-to-use control scheme even easier by combining the power and record buttons. The ultrawide-angle lens makes framing a point-and-shoot affair. HD video quality is good. The omission of dual recording modes and Bluetooth connectivity makes it impossible to change video or photo modes on the fly. A microSD card is not included in the purchase price. The Contour Roam will suit action adventurers who just want to point and shoot. Adjusting settings on the fly is next to impossible, so if tweaking's your deal, look elsewhere. The Contour Roam will suit action adventurers who just want to point and shoot. Adjusting settings on the fly is next to impossible, so if tweaking's your deal, look elsewhere. The Roam is available for AU$299. 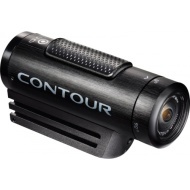 Contour takes its latest compact action video camera out for a Roam. Med «Roam» leverer Contour et veldig anvendelig kamera med god bildekvalitet.